Before getting too far ahead, it’s important to understand that in most cases, health insurance companies are not going to cover an appliance that is used for the sole purpose of controlling snoring. That being said, most health insurance companies will cover a portion (about half) or in some cases all of the cost of an oral appliance if it has been determined to be a “medical necessity". Appliances that are custom made by the dentist for the purpose of controlling obstructive sleep apnea are considered a medical necessity and are often covered by private insurance as well as medicare, when certain conditions are met. Which insurance is responsible for covering this expense? Despite the fact that these devices fit inside of the mouth, they are covered under your health insurance, not dental insurance because they are used to treat a medical condition such as sleep apnea. Unfortunately, with so many insurance companies out there, it’s impossible to make a blanket statement concerning all insurance coverage. Since the insurance companies do not publish the amount that they will cover, not even your doctor can give you an exact out of pocket amount until several weeks after getting the insurance process rolling. The entire process can take up to six weeks to complete and even then, you will only be given an estimate and not an exact amount. During this time period, you will be working with an insurance billing expert who will submit your information to the insurance company. An affidavit to intolerance to CPAP explaining why you are unable to use a CPAP to control your sleep apnea as well as a copy of your sleep study are often submitted to your insurance company for review. 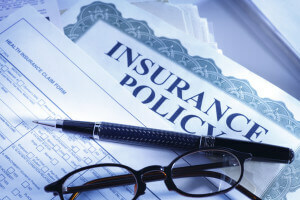 From here, your insurance will determine the amount that they are willing to pay.